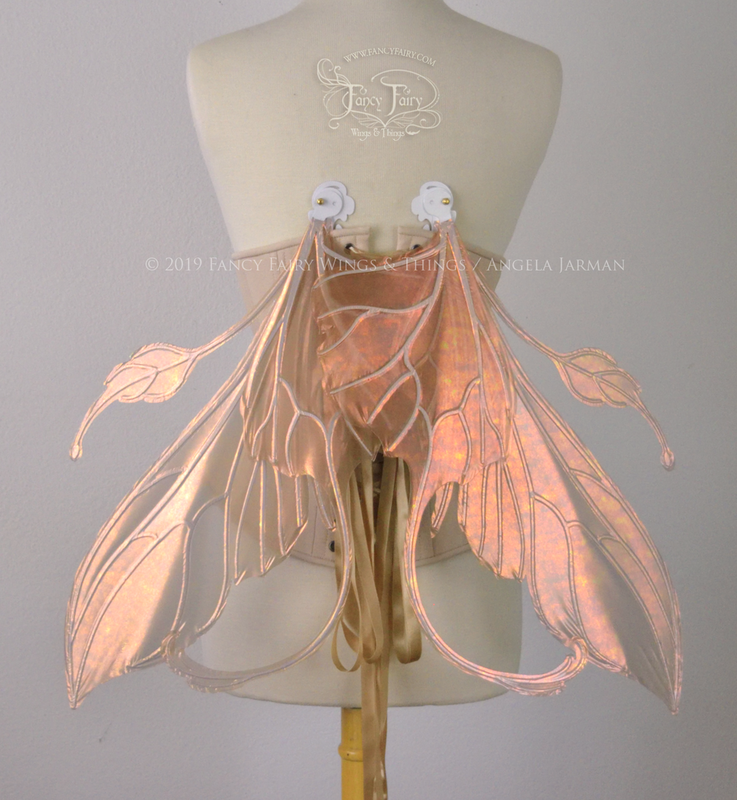 I thought I would start off spring 2019 with some fresh light colored wings, evocative of the first blossoms springing up on fruit trees. 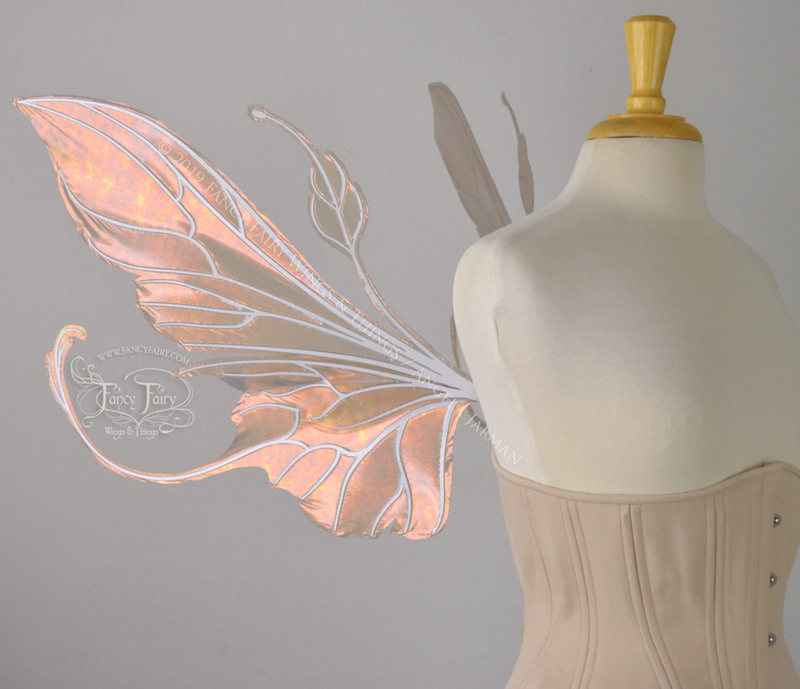 Starting with the Elvina design, done in a peachy Rose Gold iridescent film with white pearl veining. The second set is the Pansy design, done in a minty Patina Green iridescent film reminiscent of newly sprouting leaves. Which springtime colors would you like to see?